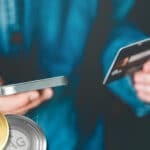 Why is fiat different from cryptocurrency? There are different currencies used all over the world in various countries, and there is a lot being used throughout history as well. These currencies can be classified into two major categories–commodity standard and legal tender. The best example of the former is the gold standard, while an example of the latter is the US dollar and most of the currencies nowadays. There’s an age-old debate that has been going on for so long, regarding which kind of currency is better. 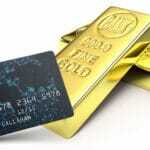 Some argue that traditional money is the best choice, while others advocate the gold standard. Knowing all the details will help you make a smart choice if you ever need to invest in such currencies. The fiat definition states that all currencies which values are not pinned by physical assets are categorised as fiat. Just like the US dollar, for instance, it doesn’t have any real asset like gold, silver, or some other physical commodity backing its value. It is backed the government that issued it, however. Unlike currencies underpinned by physical goods, the currency value of fiat is underpinned by the strength of the issuing government and not the worth of currency in gold or silver. Fiat money gains its value from the perception of the people on it. Say, $1.00 has the value of $1.00 because of its value printed on it, and the people trusts the authority of such print. That’s exactly how fiat money gains its value and acquire its purchasing powers at the same time. Fiat is usually produced to deal with inflation, thus giving a government of a country a good control over its economy. For instance, the US was once a country that used gold currency but switched to printed money to efficiently deal with economic depression. This is why paper money is associated with a better economic policy. 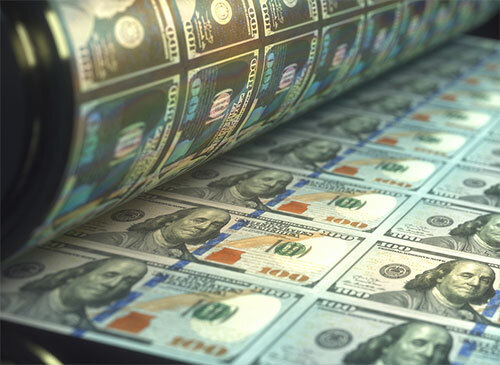 Paper money is produced, when the government or its financial departments gives the signal to print out more cash. This is done to strike a balance of supply and demand for money in circulation, thus significantly controlling the price of goods on the market. To simply put it, prices will rise when the supply of cash runs low. However, it could be solved by printing more. But recklessly producing lots of paper money could potentially affect its value. This could possibly render it worthless in the long run. Needless to say, this could potentially harm the economy of a nation as well. Since the 1930s, the United States cut its ties from the gold backed currency. Back then, it was a method of keeping the country floating in the middle of a major economic depression. Other Western countries, especially those which pegs their value on the US dollar, followed suit and abandoned the gold standard. Decades later, the rest of the world followed as well, with the US dollar as the most prominent fiat money holding the global economy. The Why is fiat different from cryptocurrency? Since the Bitcoin or BTC was launched to the public, crypto has become a different classification of assets available on the market. It has even become a popular choice for various transaction all over the world, making investing in cryptos a good venture for many. Fiat cash is centralized, while cryptos are not. This means that the government has full control over the former, with the latter have insufficient supervision and control from anyone. The blockchain is there to display all the transactions anyone has made over it. The controller of fiat, like the government, can easily pump more money into the circulation when necessary. On the other hand, cryptocurrencies have a limited number that even its developers couldn’t make more on demand. Due to its value that is dependent on its own quantity on the market, cryptos have a very high rate of volatility. Its value could easily rise or drop drastically in a snap, leaving investors off-guarded in many instances. Because of its high rate of volatility, many entities won’t accept cryptos in various transactions. Surrounded by uncertainty as to what its value will be the next day or even within an hour, use of it in any business can be detrimental. Cryptocurrencies can only exist on the virtual realm, while government money can exist as physical cash and on digital transactions. This enables anyone to use fiat money, regardless of them having access to digital accounts or not. Aside from the points mentioned above, cryptocurrencies are also considered mostly illegal to use in many countries. As a result, many companies, banks, government, and some other entities won’t accept cryptos as payment for transactions. Cryptos could have huge differences from legal tender, but there is a significant common ground that both shares. These are assets that don’t have real physical asset backing them up, thus making cryptos a sort of a fiat cryptocurrency. The interesting part is, gold-backed cryptos are also on the rise, which makes regular cryptos definitely falling under fiat classification. These gold-backed cryptocurrencies are innovative solutions to various problems of fiat cryptos, like how gold backed assets are said to have the potential of solving the issues of traditional money. 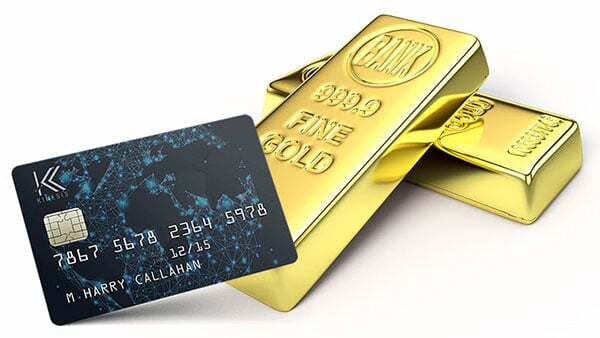 Now that you already know what fiat is, you would want to know how it is better than the gold standard. Truth be told, both have their own share of pros and cons, with one being better than the other on certain angles. When favouring fiat money, one could perceive that the good control it can provide to the government is its best advantage. Through the Federal Reserve, tt has even proven itself to help the United States to pass through the Great Depression of the early 1900s, helped make its economy steadfast through the decades, and has kept the country’s economy from collapsing during the depression of 2007, 2008 to 2009. Legal tender could be produced in large quantities, which is a critical tool for solving the demand for more money in economic circulation. Fiat doesn’t require demanding resources, cost, and labour to produce, unlike precious metals. Government issued money is also more convenient to distribute and use without too much hassle, especially because it can be used in digital forms. Still, in seeing the US dollar as an example, it has helped the country and, eventually, the world in significant ways. It aided the US government to cut its ties from the limited gold reserve. It has helped the USA to pass through economic depressions. It compelled many European countries to switch to fiat money as well. It has stabilised the world economy by making the US dollar a peg for many other national stores of value. Now you can see how paper money has made wonders for the US, and eventually the entire world. But fiat has its share of flaws, which brings to the fore the concerns of advocates of the gold standard. Albeit government issued has done great stuff for the US and for the world, it has its own share of flaws that couldn’t be easily ignored. One of the biggest concerns is the diminishing value of any fiat money, which is the main reason why governments kept producing a new generation or new design of currencies every few years. 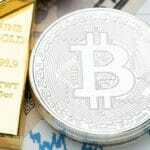 But this could potentially be solved by investing in gold-backed assets like the gold backed cryptos of Kinesis. Investing in real gold or in gold-backed assets can help in cushioning your money from potential value collapse of any legal tender. Another relevant flaw of the fiat money is on the production itself. Although it doesn’t require too many resources to produce, it still needs supplies like printing facilities. This begs the question of where the funds for such operations will be sourced? The government and banks can product fiat. After producing fiat money, distribution follows. This is done by lending it to individuals, organisations, businesses, and even to the government. In short, the notes on circulation nowadays likely came from bank loans or debts, giving them the power to initiate an economic problem when the loan is recalled. Thinking about this kind of collapse would probably push you to find some ways to protect your assets and properties from negative implications. Spread the risk by investment in gold-backed asset as one of the top investment options. After knowing how paper money works, you can see that it has perceived monetary advantages over the gold backed assets. Specifically, because it gives good economic control to the government. It could help in taming inflation, and provide enough supply of cash to the market. Moreover, fiat money is easier to distribute and use in daily transactions. 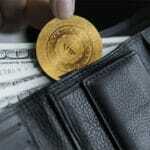 It’s not that heavy compared to gold coins, and could exist both in physical and digital form. On the other hand, while relatively easier production process of fiat money makes it a good asset for the government, the ability to print money out of thin air has consequences. In addition, the diminishing value of fiat, along with some other problems surrounding it, should not be underestimated. Because it is easy to control, some other entities could also manipulate its circulation which could lead to an economic disaster. That is why, despite fiat being better than gold in many ways, it is still important to invest in gold to help in cushioning your assets in case of unfavorable economic conditions. Certain individuals are aware of the possible fall of traditional money, thus they have created a certain platform to make gold investment far easier and efficient. What they’ve done is to make gold run on the blockchain, making gold-backed assets available for everyone. These are cryptocurrencies that have real gold counterpart kept in secured reserve, and have a 1-to-1 unit to a gold counterpart. All you need to do is to make your investment, for you to own units of gold-backed cryptos, which also means having real gold in official reserve. Just like Kinesis, for instance, investing on 1 KAU means you can have 1gm of gold and investing on 1 KAG gives you 10gm of silver. 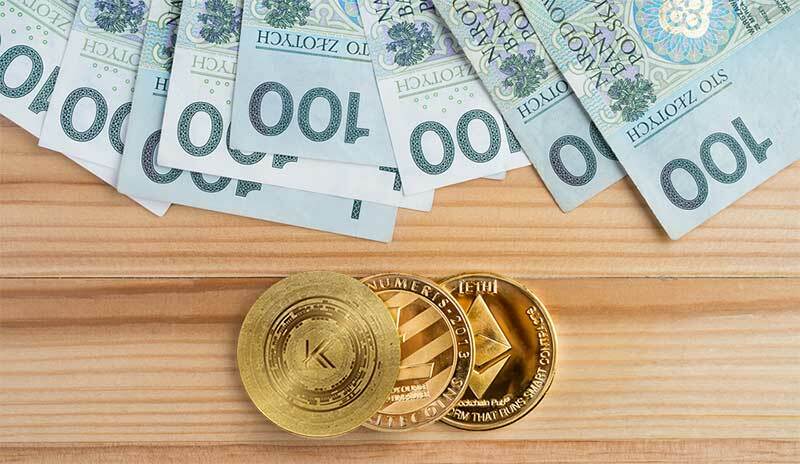 You can opt to simply let Kinesis keep your precious metals, use KAG and KAU on your daily transactions, or claim your physical gold or silver from them. Since gold has a stable value throughout the years, you can expect it to help cushion you in the event of a dollar crash. The availability of it in the blockchain results in a far more convenient way of using gold as a tool for value transactions. Combine your investment with fiat crypto to better spread the risk. To sum everything up, while fiat is taking the current economic control, gold backed assets could help you secure a good future ahead. This makes it important to know about the monetary advantages of both, so you can maximise their value to your benefit. Learn more about cryptos in general and broaden your financial knowledge.